Entertainment | The Rants of a Ghanaian! DEAR DARK SUBURB, TREAD CAREFULLY! I have been meaning to write this piece for a while now but it seems Prophet Daniel Larbi forced my hand. I missed my shot at first place but second place isn’t bad either. Dark Suburb needs a pan to the head. For the uninitiated, Dark Suburb is Ghana’s first rock band. Indubitably, that is a nice feat but one that might quickly fade into obscurity. I am not making that statement lightly and the rest will think I am just a hate-filled Ghanaian who abhors change but you should know this, I have a very large collection of ROCK MUSIC. So trust me when I say, “I know what I am talking about”. Dark Suburb needs a pan to the head because it is becoming increasingly apparent they have no idea what they are doing…as far as their public image is involved. Dark Suburb will probably take offense but I will pull no punches. Why should I pull ‘em back when everything lends credence to the fact that the band is built on a foundation of absolutely no planning, no research and no education. Just plain NOTHING. The very iota of rock music is all they have a claim to. 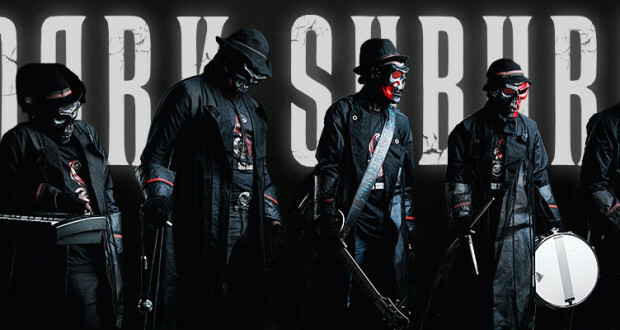 Dark Suburb has the crew, the equipment, the “ok” music and then…Zilch. I am a fairly imaginative person and I can think of many scenarios detailing how they came into being and rest assured, none will feature a smidgen of analytical thinking. They didn’t have the “talk”. I’m being highly critical because they are hitting very close to home and I honestly can’t stand it. Even though rock is influencing the Ghanaian music scene, the majority of Ghanaians quickly and unequivocally associate rock music to drug addicts and satanism. This is a fact I have lived with since I abandoned mainstream music. It is a not-so-alarming discovery but I will say with utmost certainty that, some of my readers have the same reservations. People naturally have fears and Ghanaians are beyond reproach in this region…for good reason: Ghanaians are superstitious. This invariably skews their perceptions on a lot of things; rock music being one them. The average Ghanaian knows little to nothing about rock music, save for the preconceived notion that any song with an electric guitar falls in the loop. But to be fair, education on the matter is practically non-existent in this country. The little info Ghanaians have on rock is what they glean from the five-to-ten seconds of screen time rock bands get in movies. The featured bands are predominantly from the Death Metal and Hard Metal scene, playing songs filled to the brim with death growls, heavy guitar riffs, and to make matters worse, these movies scenes contain morbid imagery. Now, with all these things considered and as far as reactions go, one shouldn’t be surprised when Ghanaians quickly judge rock. 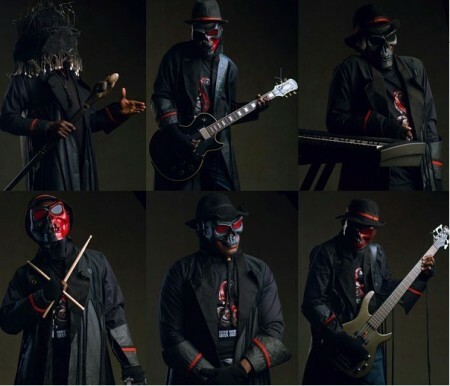 Now imagine how quickly my excitement turned to disdain when Ghana’s first rock band swooped into the limelight with teaser images and video clips employing the use of the aforementioned “unholy” things Ghanaians have associated with the genre. In their first official teaser video (The Awakening Video), Dark Suburb employed the use of hand-drawn animation which features a wizard/sorcerer reciting weird ‘demonic’ incantations that seemingly bring corpses back to life. Under the direct influence of this demonic entity, these skeletal beings exit their coffins with musical instruments in tow, and are driven by a single purpose: play music for us normal Ghanaians. Thus, they will entertain us with demon-inspired music. Now from the average Ghanaian’s viewpoint, this band embodies everything about rock music they have come to fear and hate. Dark Suburb, you have managed to secure a small fanbase in an otherwise rock-averse country and instead of finding a more palatable pill for the masses, you flipped the birdie and decide to go against the grain. That to me is the dumbest thing since the invention of the DVD-Rewinder. Take away the musical instruments, replace them with guns and we have the “Escuadrón de la Muerte” (Death Squad). To top it off, there is the issue of mistaken identity. Some rock acts in their early years can’t properly categorize the genre they fit in and unfortunately, Dark Suburb is trudging along in that particular trench. Their “High Priest”, who is the band’s leader, says he gave life to his undead bandmates and achieved that through ancient sorcery. They are The Skeletons and their studio The Graveyard. This description puts the band into the Death Metal category but in actuality, they are an alternate rock band with hiplife and highlife influences. That ultimately goes to show that the people who make up Dark Suburb are a bunch of guys with decent-enough talents but no discernible reasoning skills. Talk about shooting yourself in the foot…over and over again. Why would you dress up like this? A bunch of kids at a costume party. All things considered though, Dark Suburb makes OK music. That isn’t a bad thing for I believe they are yet to find their perfect form. So I guess in that area I can cut them some slack :). Dark Suburb, please listen, unless you rebrand and reinvent your band, you might bloom like the Corpse Flower and wither into obscurity. Do that or risk being a speck in the ever-growing pool of failed attempts in Ghana. There is bad music everywhere and in every genre, but rock is the designated runt of the litter…and Dark Suburb jumped head first without a helmet. If they are willing to shed their current image and think long and hard about the future of their band in Ghana, I am almost certain they will be pioneers of the rock scene in this country. 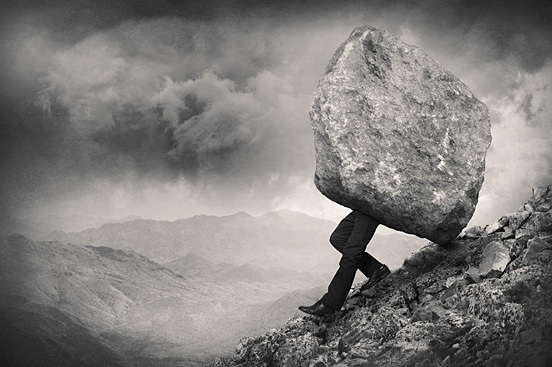 Rock is great. Rock is awesome. It is awesometacular and as the first rock band in Ghana, you have the privileged opportunity of educating Ghanaians on the sweetness of rock music. “Replacing the bad with the good”, so to speak. SO DARK SUBURB, GET YOUR ACT TOGETHER AND DON’T MESS IT UP. PS: You’ve got to admire DARK SUBURB’s dedication to their image and secrecy…even though it is very dumb. They are lucky no one has the time to fish out their real identities.